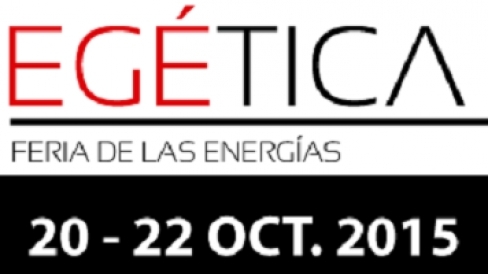 The MED-DESIRE project (“MEDiterranean DEvelopment of Support schemes for solar Initiatives and Renewable Energies”), will be at EGÉTICA, the Fair for Energies that will take place in October 20-22th in Valencia - Spain. The project will have an exhibition space where the most relevant results of MED-DESIRE will be presented. The purpose of the strategic project MED-DESIRE is to facilitate the development of the solar energy distributed in Tunisia, Egypt and Lebanon through the achievement of effective cross-border cooperation with Spain and Italy, by incorporating adapted financial mechanisms and market stimulation tools to remove barriers to the generation of distributed solar energy. Professionals that visit this space in the EGÉTICA fair will know the most relevant results achieved within the framework of the MED-DESIRE project. One of the most important activities carried out in the frame of the project has been the development of surveys to companies from the sector of solar energy distributed in the target countries to know the existing barriers for its development. The knowledge of the needs in these countries can open potential market niches for Spanish companies. EGÉTICA will be the meeting point of the energy sector in Spain. It is an important fair in which professionals and companies will find the last trends in design, materials, technology and products. EGÉTICA provides its visitors access to the cutting-edge products and services in terms of sustainable production and distribution, new technological solutions in terms of energy and environment, and everything related to efficiency in sustainable transport and mobility.